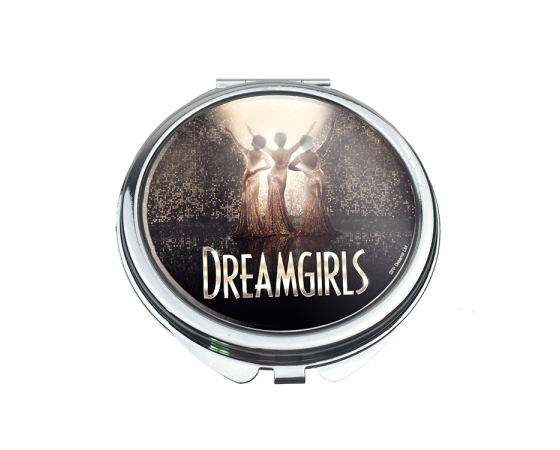 Round compact mirror featuring Dreamgirls artwork. Size: 2.35 in. 2.35 in. + 0.37 in. thickness. Chrome finish.